Brother Compact Wi-Fi Laser Printer – Up To 17% Off! This week’s tip is a belter – it has to be since we missed a week last week. It was a Bank Holiday in the UK and we were eating a lot of chocolate and enjoying an unusually warm Spring weekend. Apologies. So, this week’s deal is a cracker to make up for it. Before I get to that though, don’t forget to take advantage of our ‘best ever Friday Deal’ and make sure that you’re saving money on everything you buy online. Find out about that here. So, this week’s deal. It’s a 17% saving and it still costs $99. So, why is this such a good deal? Well, the item in question is one of the world’s best selling compact laser printers from Brother which is specifically designed for small and home offices and it’s rarely been below $100 before. It has intelligent printing direct from your iPhone with AirPrint – really great. As a laser printer, it’s used to both running every day or sitting idle for weeks at a time, or anything in between. It’s a mono (black and white only) printer. But that’s a good thing. Getting an affordable color printer costs 3 times as much to buy and to run! Plus, this is so easy to set up. It’s Wi-Fi and will connect automatically on your network in minutes. If all you need is a simple but reliable (and cheap to run) mono printer for running out documents, then this is a great choice. And, just for peace of mind, this has been the Wirecutter’s ‘best laser printer’ pick for the last two years. At this price I’m grabbing one. If you didn’t read that and take advantage of the deal, then click the big orange button below and check that out as well. It’s genuinely fantastic, costs nothing and is, as we Brits say, a ‘no-brainer’! TaoTronics Mini Bluetooth Receiver – Up to 35% Off! Anker Pocket Sized LED Torch – Up to 35% Off! Dymo MobileLabeler Label Maker – Up to 23% Off! Is Your iPhone Battery Letting You Down? Then you should download these 2 FREE ebooks written by our experts to solve your needs. 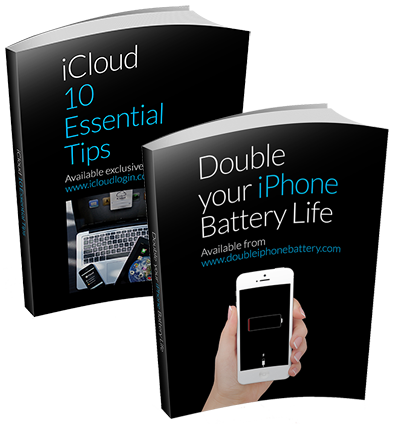 Top tips on getting to grips with iCloud, and an 80 PAGE guide to solving your iPhone battery problems. AND IT'S FREE!! Need to Know More About iCloud? Then You Really Should Get THIS Guide. 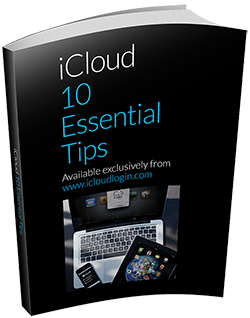 Written by our Experts from iCloud Login and our sister publication iExpert News these 10 essential tips will prepare your digital life to integrate with iCloud. This is a limited time offer for this book so GRAB IT NOW! Need to Know More About iCloud? 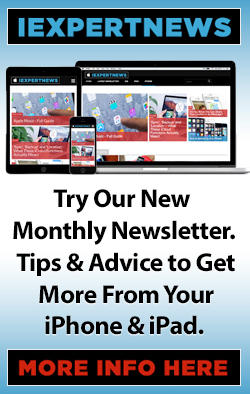 Then sign up for this FREE 10 Essential Tips Guide To help get you started.